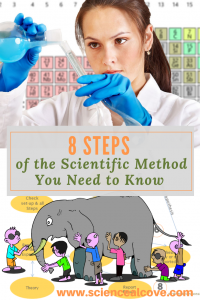 Inside: The 8 steps of the scientific method are a step-by-step method of inquiry. They give a logical blueprint for scientists to test their questions in a structured way. Valid and logical conclusions are the result. Scientists are looking for cause and effect relationships. Their educated guess or hypothesis can be supported, partly supported or rejected by their experiment. So what are these 8 steps of the scientific method? Why is the Scientific Method so Important? There are 8 steps of the scientific method. 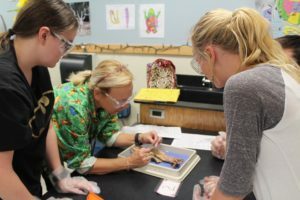 High school programs insist you have at least one or two science credits before you graduate so most of us have at least heard of the scientific method. You might not realize you use some form of this method in most of your decision-making. How do we learn? We watch others. We watch things that happen in the world. When a child throws a ball up in the air, it always falls back down. If he pushes his truck, it always moves. When a student organizes his notes and studies consistently, she gets better grades. We all create rules based on these cause and effect relationships. In new situations, we make predictions based on those rules. What dress will I wear to the Prom? Well first you’ll do some research on prom dresses available in various stores. Then you’ll go out and actually look at some. You have an educated guess about which ones will look good on you and those are the ones you take to the dressing room. You experiment with them by trying them on. Most likely you’ll have a friend there to give some extra feedback about which ones look the best. Finally, you’ll analyze the data you’ve collected. Which ones felt most comfortable? What dresses were easiest to put on? Which ones were made of material which made you feel fantastic? Were any a price you could afford? It’s a lot of facts to contemplate but finally you choose one. We ask questions about the world around us all the time. We make predictions about outcomes based on that information. It is how we survive by making sense of our world and making smart guesses about what will work to keep us alive, happy and healthy. That kind of thinking can be applied to scientific inquiry. Why are some roses to be less prone to aphid infection? Scientists are constantly asking questions about observations they’ve made in their field of study. But there is a lot more to the process than just asking questions. Scientists need information to be able to make sense of those questions. 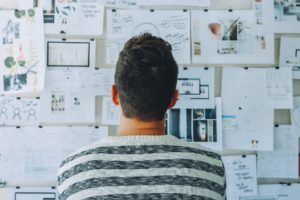 In order to design your experiment and for you and your peers to understand the deeper meaning and reason for your experiment, background research is required. I completed a 4th year thesis for my environmental science degree many moons ago. Completing the background research was likely the most energy intensive. Mind you, back in my day, the internet was in its infancy. Our university library was not on-line and I had no access to the internet. We were still using real books and the physical peer-reviewed journals. Had I had access to today’s technology, collecting the background research for my paper would have been so much easier. 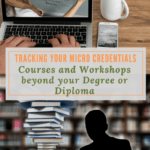 Following a process for completing background research makes it a much easier process. I had my process back in the 1980’s. Some of what I outline below worked for me. Obviously, there are some new techniques that come with advanced technology that I would not have had access to. Identify the keywords in your research question. Brainstorm additional keywords that are synonyms of or closely related concepts to your question. Use a table with the standard question words (why, who, what, when, where, how) to generate questions related to those keywords. Take a close look at those questions you generated. Which ones will help you design or understand your experiment? Throw out any questions that will not help you design your experiment or understand your question. Search the history of similar experiments that relate to your question and then research them. 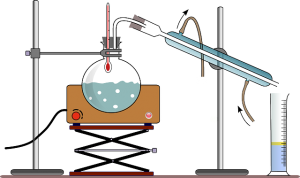 Research techniques and equipment used in similar experiments or used to answer similar questions to your own. Don’t reinvent the wheel! Ask your teachers, mentors, parents, teaching assistants what science concepts you should study to better understand your question. Then study those concepts! Background research is a necessary evil. It is time-consuming but it does help you understand the theory behind your question and eventual experiment. Taking the time to do thorough background research around your question will allow you to create a better, more concise hypothesis. The results you get from your experiment will be relevant and easier to fit into context with what is already known about your question. No pain, no gain is applicable here. Your background research will allow you to see if and why your hypothesis was supported or rejected. So, it looks like this: “If (I do this)________________then _______________(this) _______________ will happen. In order for it to be testable, you must be able to make measurements of some kind to interpret how the variables are related. If aphid infested rose plants are exposed to ladybugs then they will have significantly less aphids after one week compared to aphid infested rose plants not exposed to ladybugs. If rainbow trout are exposed to low oxygen water then they will be infected with significantly more lice compared to rainbow trout exposed to high oxygen water. If aphid infested rose plants are exposed to ladybugs then they will have significantly less aphids after one week than aphid infested rose plants not exposed to ladybugs. If the rose, Rosa gallica officinalis infested with the aphid species, Macrosiphum rosae is exposed to the ladybug, Hippodamia convergens then it will have significantly less aphids after one week than Macrosiphum rosae-infested rose plants not exposed to Hippodamia convergens. In experimental design, you must have a control and one or more experimental treatments. All factors are kept equal in the control and the treatment groups except for the independent variable. In the above hypothesis you would have one control and one or more treatments. In both cases, the rose plant would be the same species, age, size and color. The plants would be rooted in the same soil type and container type. Both rose plants would initially be infected by an equal number of aphids of the same species. Each rose plant would have the same watering schedule. The difference between the two groups would be the ladybugs. The control plant would not be exposed to Hippodamia convergens while the experimental plant would be exposed to Hippodamia convergens. Number of aphids would be counted each day for both plants for seven days. 5. Did the Procedure Work? if your results are inconclusive, in other words, it is not clear whether the ladybugs had any effect on aphid infestations because of varying results in aphid infestation after one week. Your design will need to be modified. If your procedure worked, then its time to analyze your data. Chart your data and graph it. Look for pattern and correlations. Statistical analysis is required especially at the college and university level to decide whether or not your results were significant. 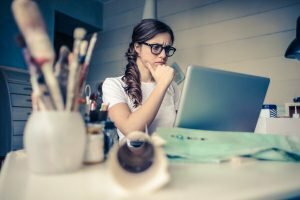 Were there any possible sources of error in your experiment? Could your rose plants have been contaminated with a different species of aphid? Was each plant exposed to the exact same conditions? Did you make any minor changes to your procedure? Clearly state how these sources of error may have changed the outcome of your experiment. Next, draw your conclusions. Did your results support your hypothesis? 7. Was Your Hypothesis Supported or Not? In the above example, if your treatment groups showed much less aphid infestation then your hypothesis was supported. Try and reproduce your experiment and see if you get similar results. Modify your experiment and use different plants. Is the effect the same? If your hypothesis was not clearly supported, revise your hypothesis or make a completely new one and repeat the process. Science is dirty. It doesn’t always follow our expectations. Often, we don’t get it right the first time, or the second time or even the fifteenth time. It is a process that requires patience and great problem-solving skills. All scientists must be great record keepers. 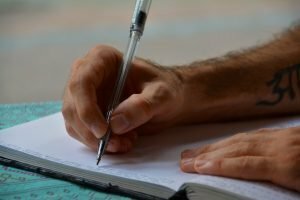 Your results must be written in a simple, concise way that outlines not only whether or not your hypothesis was supported but also how your findings fit with current research. If ladybugs do reduce the number of aphids on the rose plant why does that matter? How can this knowledge be applied in the real world. Is there an economic benefit to your results. What economic group would benefit? What new questions have arisen from this research? 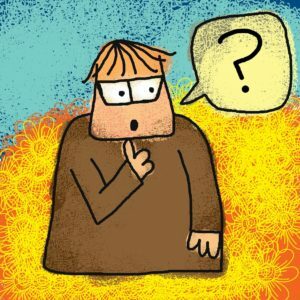 Can these questions be tested with another experiment? 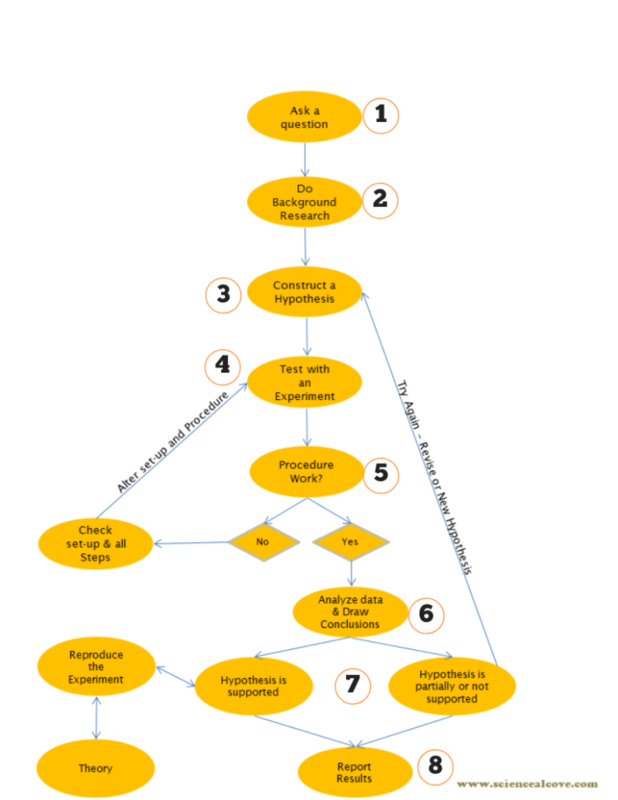 The 8 steps of the scientific method are a step-by-step method of inquiry. It is crucial that kids get a solid foundation of the scientific method starting at a very young age. Young kids are naturally curious. 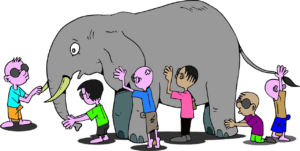 Kids ask lots of questions about the world. They are born scientists, continually testing their environment. Encourage that gift in your classroom or home school. Exposure at a young age will prime older students to take on a more formal, structured process. 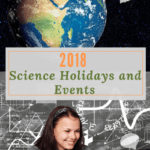 By middle school, all kids should be ready to take on a science experiment using the 8 steps of the scientific method outlined. Science is fun. It can be dirty. And it is always a great way to foster patience and great problems-solving skills as kids graduate into adults! What is the Origin of Groundhog Day? 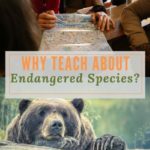 Why Teach about Endangered Species?